A living wreath to welcome visitors to your home. I purchased a flat full of small bromeliads at a green market this weekend. 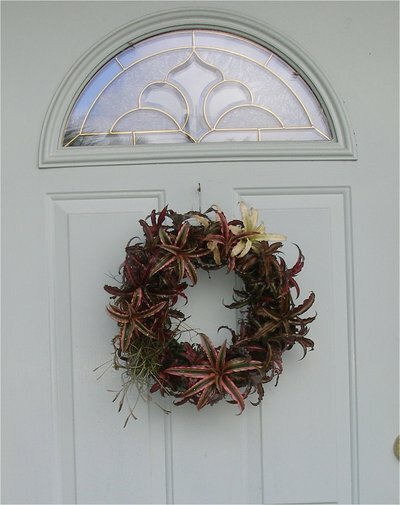 I used them to create a new wreath for my front door. Gather your plants, moss, wreath and wire. 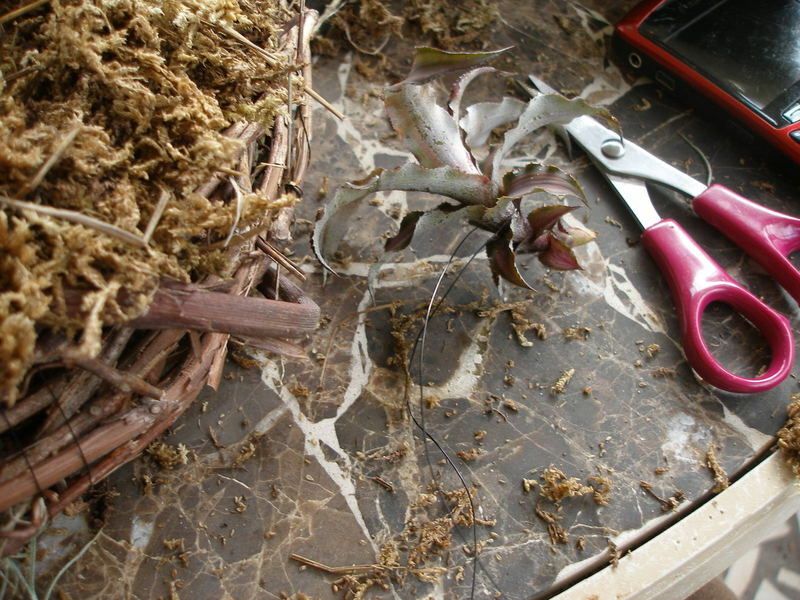 Dampen Sphagnum moss so it is easier to work with. Then lay it on top of a grapevine or a straw wreath. I used a grapevine because that is what I had laying around. 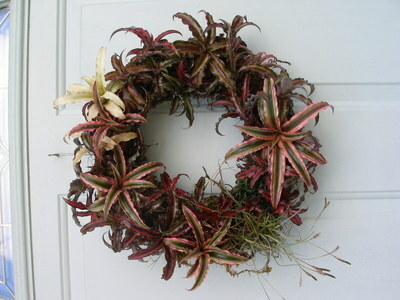 Wrap the moss and wreath with wire to hold the moss in place. 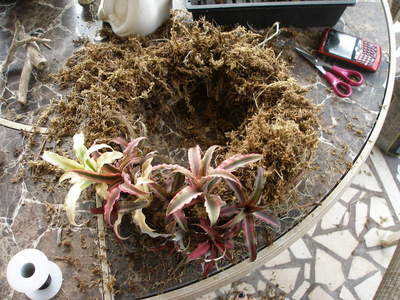 Wrap each plant with a piece of wire that is long enought to wrap around the width of the wreath and moss. 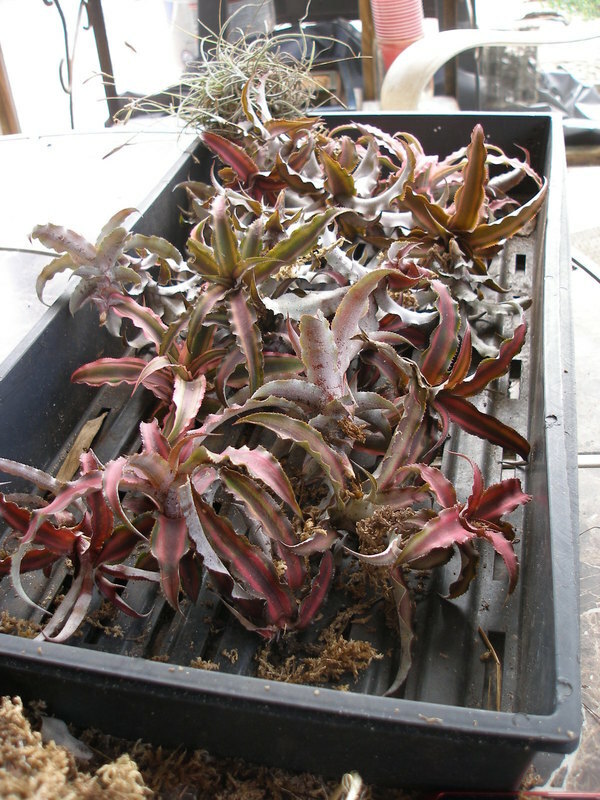 Twisting the wire on the back of the wreath to hold the plant in place. Continue around the wreath until it is as full as you like. Spray with water and hang on your door. Spray the wreath every few days and treat it as you would any living plant. And Enjoy!